Let’s not kid ourselves: many bodybuilding post-workout supplements have a ton of ingredients. Well, wait until the competition gets a load of PNP Supplements Recover Surge. We’ll spare you the details, but let us just tell you it’s one of – if not the most – comprehensive post-workouts on the market. Powerhouse ingredients. One of the most complete post-workout formulas ever. Cleanses and detoxifies the body. Rare post-workout supplement which has this feature. Bonus ingredients. Tremendous source of Vitamin C, Vitamin D, and Vitamin B6. Quercetin Dihydrate, N-Acetyl D-Glucosamine, L-Glutamic Acid, Cardyceps Mushrooms Powder, N-Acetyl Cysteine, Milk Thistle Seed Extract, Alpha Lipoic Acid. Other Ingredients: Citric Acid, Natural and Artificial Flavor, Acesulfame Potassium, Sucralose, FD&C Yellow #5, Calcium Ascorbate, Calcium Citrate and Sodium Chloride. SUGGESTED USE: As a dietary supplement, mix one scoop of Recover Surge for the first 100 lbs of body weight plus one additional scoop for every additional 50 lbs of body weight with a minimum of 16 ounces of cold water immediately following physical activity. Quickly, now: what’s the coolest bodybuilding post-workout supplement name you’ve seen? There are way too many. However, those which stand out for us include Sheer Strength Labs’ SHEER RECOVERY and iForce Nutrition Finish Line. Okay, how does PNP Supplements’ Recover Surge grab you? One thing is for sure: the moment you read the name, you know right away it’s a potent post-workout supplement. Take your workouts to the next level with a post-workout product such as PNP Supplements Recovery Surge. “The idea behind Recover Surge was to formulate a recovery supplement that gives hard-training athletes what their bodies need to speed up recovery, reduce muscle soreness, and replenish cellular energy,” per its official website. “We wanted a supplement that maximized the post-workout anabolic window, reduces recovery time, and enables an athlete to resume training and competition sooner at their full effort,” per the same source. We like the idea behind this supplement. It captures the essence of a true post-workout. Here’s where it becomes more interesting: the company wanted to go the extra mile. For the folks at PNP Supplements, traditional post-workout ingredients such as BCAAs, creatine, and glutamine won’t cut it. They wanted “a recovery supplement that cleans and detoxifies the body, re-hydrates and re-loads muscles, fights inflammation, and replenishes cellular energy while assisting with muscle repair and prove nerve and muscle function,” per the manufacturer’s website. Again, we’re impressed. However, the big question looms: can they deliver the goods? Well, they’re not off to a good start. 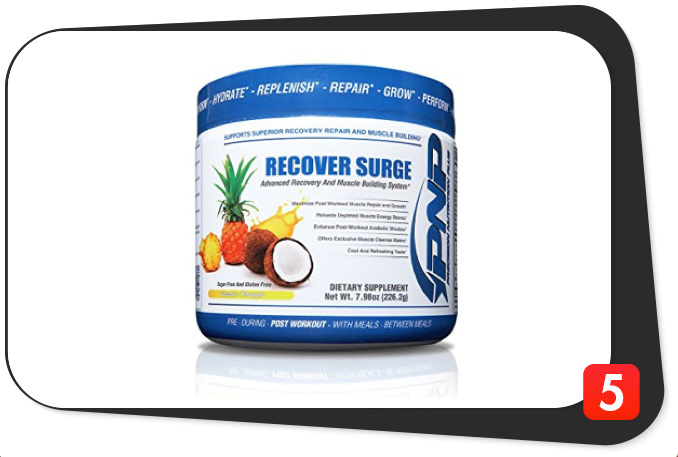 You can see PNP Supplements Recover Surge has not one – but five – proprietary blends. Five deceiving proprietary blends. Boo. These are nothing but deceiving marketing tactics where the manufacturer indicates the cumulative total of the blend. However, it does not disclose each individual ingredient. It confuses customers, to say the least. They have a right to know how much of each ingredient goes in their bodies. PNP Supplements Recover Surge’s star of the show is 1.978 grams of its PNP Muscle Re-Load Matrix per serving. The main ingredient here is highly-branched cyclic dextrin (cluster dextrin), a fast-acting carbohydrate which helps replenish depleted post-workout glycogen stores. The main advantage of cluster dextrin is it also boost the solubility of the ingredients it absorbs. That’s awesome for post-workout purposes – the faster the post-workout intake during the crucial, half-hour anabolic window, the better. Remember, not too may post-workout products have this ingredient, so take advantage. The said proprietary blend also has l-citrulline malate, an organic compound derived from watermelon. L-citrulline malate is a precursor of nitric oxide, a compound which helps improve blood flow, dilate the blood vessels for better nutrient absorption, regulate blood pressure levels, and increase muscle pumps. What could be better than those? Another key ingredient is taurine, an organic compound which helps boost the cardiovascular and central nervous systems. Plus, taurine “may help alleviate oxidative stress on the body after strenuous exercise,” per the manufacturer’s official website. Bingo. The company nails another important post-workout benefit. All in all, we like PNP Supplements Recover Surge’s Muscle Re-Load Matrix’s natural ingredients which help boost post-workout absorption and recovery – we have yet to see a competitor with this kind of blend. Frankly, it’s a unique, bold, and aggressive approach on the manufacturer’s part. Bravo. Next up is PNP Supplements Recover Surge’s 1.667 grams of its PNP Glutamine Blend per serving. Glutamine is the most abundant amino acid. It’s also a versatile, post-workout staple. “Supplementing with glutamine improves muscle-building efforts, boosts the metabolism, improves recovery, and supports athletic performance,” per PNP Supplements’ official website. Bear in mind glutamine helps reduce levels of ammonia to detoxify the body. This amino acid also helps boost the immune system. There are several types of glutamine found in PNP Supplements Recovery Surge. The one which piqued our interest was SUSTAMINE (l-alanyl l-glutamine). Ergo, SUSTAMINE’s benefits boil down to one thing: muscle preservation. Hey, that’s one of the things which glutamine can do for you. We’re glad it’s in PNP Supplements Recover Surge. In the meantime, this product’s PNP Creatine Blend takes up 1.001 grams per serving. Just like glutamine, creatine is another bona fide post-workout ingredient superstar. “By consuming creatine post-training, athletes replenish creatine stores and cellular energy faster, which is the first step in the recovery process,” per the product’s official website. What’s more is creatine helps increase muscle mass, improve muscular function, increase aerobic and anaerobic endurance, boost brain health, and regulate blood sugar levels. PNP Supplements Recover Surge main form of creatine is Creapure, a top-notch German brand. We think that’s awesome because creatine monohydrate is the most effective and cheapest form of creatine. However, the main knock against it is its solubility. It’s safe to say that’s the reason why other forms of creatine (creatine hydrochloride, creatine magnesium chelate, and creatine AKG) are present in PNP Supplements Recover Surge – to make up for that shortcoming. On the other hand, this product’s Muscle Cleanse Matrix is worth 872 milligrams per scoop. Among the ingredients include n-acetyl d-glucosamine, quercetin dihydrate, cordyceps mushroom p0wder, and n-acetyl cysteine. The bottom line: these ingredients are safe and all-natural. They have overlapping health benefits. They help ward off inflammation, stave off free radicals, and regulate blood pressure levels. All good on all fronts. Finally, PNP Supplements Recover Surge’s Instantized BCAAs 2:1:1 Matrix comprises 667 milligrams per scoop. While the 2:1:1 BCAA ratio (two parts leucine and one part each of isoleucine and valine) is decent, we’re not that impressed with the amount. Less than one gram for the entire BCAA content? Come on. Some post-workouts such as the aforementioned iForce Nutrition Finish Line have a whopping four grams of leucine alone per serving. More leucine – the anabolic amino acid – translates to more muscle mass. There. We’ve made our point. Calories, 27: Most post-workout supplements’ calorie contents range from zero to 150. Using that as a reference, you can tell PNP Supplements Recover Surge is a low-calories supplement at just 27 per serving. Total carbohydrates, 2 g: If you’re on a low-carb diet or if too much carbs freak you out, don’t fret – PNP Supplements Recover Surge is extremely low in carbs at less than one percent of the daily value. Protein, 5 g: There’s not much protein in this product, either. Too bad the manufacturer didn’t disclose the daily value for this macronutrient. It would have been easier to assess the protein content. Nonetheless, our computation reveals PNP Supplements Recover Surge has around three percent of the daily value for protein (anything less than five percent is considered low). Vitamin C, 83.34 mg: Wow. PNP Supplements Recover Surge has an impressive 139 percent of the daily value for Vitamin C or ascorbic acid. Long story short, folks: when you take this supplement, you’ll be able to ward off the common cold just like that. Awesome. Vitamin D (as cholecalciferol), 1400 IU: It turns out this supplement is an even more impressive source of Vitamin D at 350 percent of the daily value. Unbelievable. Just so you know, Vitamin D is crucial for healthy bones and teeth. It also helps ward off nasty free radicals. Vitamin B6 (as pyridoxine HCl), 11 mg: Think you’re already blown away by PNP Supplements Recover Surge’s Vitamin C and Vitamin D contents? Well, you’ve got another thing coming: it’s also a tremendous source of Vitamin B6 at a whopping 550 percent. Adequate Vitamin B6 consumption is crucial for optimum function of the cardiovascular, nervous, and immune systems. It’s an understatement to say this product has covered your Vitamin B6 needs. Calcium, 19 mg: Unfortunately, PNP Supplements Recover Surge is not a significant source of calcium at just two percent of the daily value. Magnesium (as magnesium oxide), 11.34 mg: It is neither a significant source of magnesium at just three percent of the daily value. Sodium, 58 mg: You need a certain amount of sodium to prevent post-workout muscle cramping. It’s too bad many bodybuilding supplements go overboard in this regard. Good thing PNP Supplements Recover Surge is a low-sodium product at just two percent of the daily value. Chromium (as chromium polynicotinate), 39 mg: It just keeps getting better for the consumer in terms of added health benefits. This supplement is a solid source of chromium at 33 percent of the daily value. This mineral helps regulate blood sugar and blood pressure levels, boost metabolism, and keeps food cravings in check. Potassium (as potassium gluconate), 9.9 mg: PNP Supplements Recover Surge is not a significant source of potassium at less than one percent of the daily value. Highly-branched cyclic dextrin (cluster dextrin): a fast-absorbing and cholesterol-free carbohydrate which makes the other ingredients of PNP Supplements Recover Surge more soluble. L-citrulline malate: A watermelon-based precursor of nitric oxide, a compound which helps improve blood flow and nutrient absorption. L-taurine: An organic compound which has positive effects on the cardiovascular, nervous, and circulatory systems. Cassia (cinnamon) bark extract: A natural ingredient which helps regulate blood sugar levels and increase blood flow. Glynema leaf extract: An herb which helps regulate blood sugar levels and boost pancreas health. Momordica fruit extract: Also known as bitter melon, this ingredient is well-known for its ability to regulate blood sugar levels. N-acetyl l-tyrosine: This ingredient is a nootropic which helps boost brain health and increase focus. It also helps increase exercise endurance. Banaba leaf extract: This ingredient has become a popular post-workout supplement ingredient because of its ability to regulate blood sugar levels. L-glutamine: The most abundant amino acid which helps prevent muscle wasting, boost metabolism, shorten recovery times, detoxify the body, increase human growth hormone levels, boost the immune and digestive systems, and improve athletic performance. SUSTAMINE (l-alanyl l-glutamine): A dipeptide which helps prevent protein breakdown, increase nitrogen retention, and protect muscle tissues. Magnesium glycl glutamine: Simply known as magnesium, this ingredient helps boost exercise performance, regulate blood sugar and blood pressure levels, and ward off inflammation. L-glutamine peptides: These help re-build muscle and protect against muscle degeneration. Creapure (creatine monohydrate): A German brand of the most effective and cheapest form of creatine, which helps increase muscle mass, improve athletic performance, and regulate blood sugar levels. Creatine hydrochloride: A form of creatine which is more soluble than Creapure. Creatine Magna-Power (creatine magnesium chelate): Simply put, this is a combination of creatine and magnesium. It has a higher absorption level than creatine monohydrate. Some fitness experts also believe it is better at stimulating protein synthesis than Creapure. Creatine alpha-ketoglutarate: This is creatine fused to an alpha-ketoglutarate (AKG) molecule to boost the absorption process. Vanadium (as vanadium citrate): This is a trace mineral which helps regulate blood sugar levels, ward off free radicals, and boost bone health. Quercetin dihydrate: A compound present in fruits and vegetables which “contains anti-inflammatory, antioxidant, antiviral, anti-artherogenic, and anti-carcinogenic properties,” per PNP Supplements’ official website. N-acetyl d-glucosamine: This ingredient is derived from shellfish and helps ward off inflammation. L-glutamic acid: A neurotransmitter which helps metabolize sugars and fats and fuel up the brain. Cordyceps mushrooms powder: “Has been shown to increase oxygen utilization, cellular energy, helps mitigate liver damage, and improve insulin resistance in athletes,” per the manufacturer’s official website. N-acetyl cysteine: “Aids in recovery from intense physical stress by assisting the kidneys, liver, and lungs with proper function,” per the same source. Milk thistle seed extract: An herb which supports liver, heart, and brain health. Alpha lipoic acid: An antioxidant which helps convert glucose to fuel for increased exercise endurance. L-leucine: The branch-chained amino acid (BCAA) which helps kickstart muscle protein synthesis for more muscle growth. L-isoleucine: The BCAA responsible for maintaining a positive protein and nitrogen balance. L-valine: The BCAA which helps increase endurance, repair muscle tissue, and regulate the immune system. Whew. That is a LOT of ingredients, wasn’t it? Many post-workouts meet most of your post-workout needs. This one meets all of them. Far and away. By a mile, folks. You’ve seen the ingredients. You’ve seen everything. We don’t need to elaborate anymore. From the get-go, the manufacturer wanted to go beyond the usual post-workout product which has creatine, BCAAs, and glutamine. We are confident PNP Supplements Recover Surge will help you achieve your post-workout goals consistently. Plus, this supplement has your long-term health in mind. The evidence: its insane Vitamin C (139 percent DV), Vitamin D (350 percent DV), and Vitamin B6 (550 percent DV)contents. PNP Supplements Recover Surge be an impressive product, but it’s not perfect. First of all, we mentioned the five proprietary blends – the most we’ve seen in a post-workout to date. This product also has a dirty ingredient in FD&C Yellow No. 5 (tartazine), an artificial food coloring. 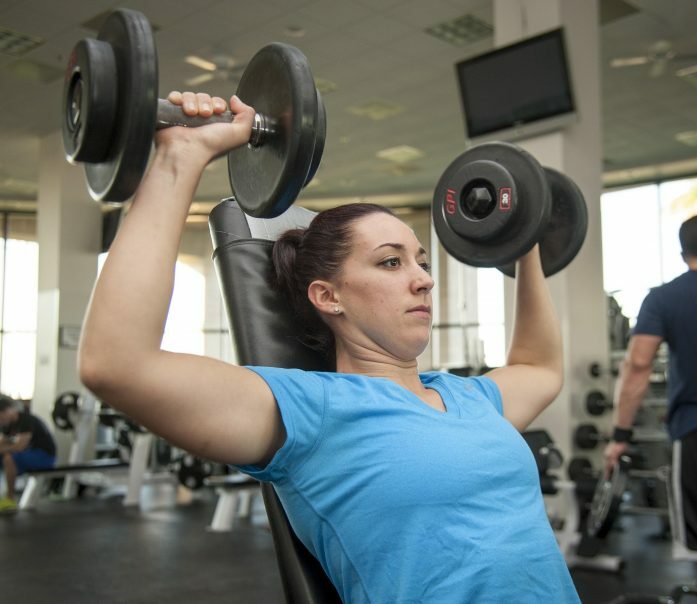 Check out the side effects fitness experts have associated it with. Note to the manufacturer: ever heard of stevia? Using this zero-calorie, plant-based sweetener would have been much better. Next, the creatine and BCAA contents are paltry compared to many post-workout supplements – some have as much as five grams each of creatine and leucine per serving. Lastly, PNP Supplements Recover Surge – what with all of its ingredients – is expensive. A 226.2-gram container costs $49.98. We agree with these claims. PNP Supplements Recover Surge is one of the most comprehensive post-workout supplements on the market. It covers all of your post-workout needs. PNP Supplements Recover Surge is intended for healthy and active individuals who are at least 18 years of age who want to increase endurance and energy, shorten recovery times, detoxify, and achieve their daily fitness goals. While PNP Supplements Recover Surge has no glaring side effects, please note this product has FD&C Yellow No. 5, an artificial food coloring which has been under scrutiny in the fitness industry. Please consult a physician if this or any other ingredient makes you feel doubtful. Powerhouse ingredients. One of the most comprehensive post-workouts ever. Bonus ingredients. Teeming with Vitamin C, Vitamin D, and Vitamin B6. Helps clean and detoxify the body. Not too many post-workouts can boast of this feature. Has five proprietary blends. Boo. Mediocre creatine and BCAA content. Pales in comparison to other big-name post-workouts. Dirty ingredient. FD&C Yellow No. 5. Unknown reputation. Hasn’t gained enough recognition. Expensive. $49.98 for a 226.2-gram container. You’ve seen it for yourself, folks: PNP Supplements Recover Surge is about as exhaustive a post-workout gets. One look at the ingredients list tells the whole story. Yes, it goes above and beyond the usual post-workout. It also has bonus ingredients which bode well for long-term health. Unfortunately, you cannot ignore its proprietary blends, an artificial food coloring, mediocre creatine and BCAA content, and expensive price. Moral of the story: more doesn’t necessarily mean better. Just the same, we recommend you try PNP Supplements Recover Surge. Despite its flaws, it should deliver the goods.